Coppertail Brewing out of Tampa is about to get rolling, brewing up their first batches of beer. In edition to the beer, they are working get their branding together. 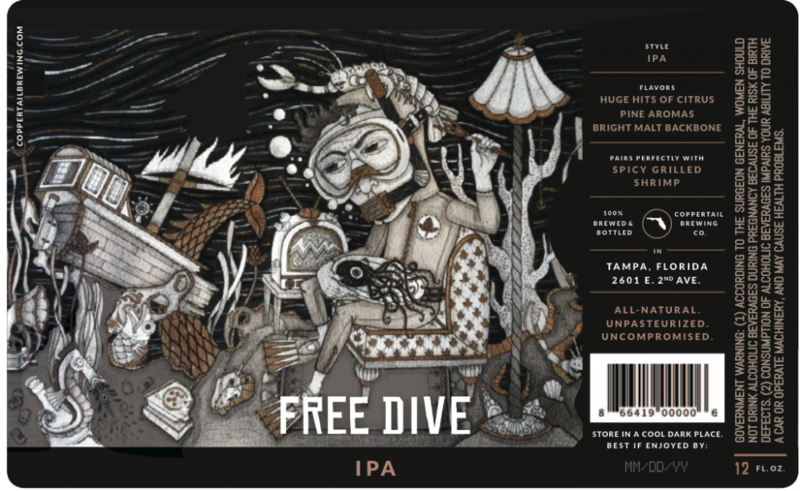 Coppertail has been working with artist Evan B. Harris to start designing their bottle labels. They have released a glimpse into what they are working on and we think it’s looking pretty awesome and unique if we do say so ourselves. “We aim to create labels that stand out from the others on the shelf. We really don’t care if they appeal to everyone’s artistic taste as long as they look unique and distinctive. We wanted to find an independent artist who could create artwork that would complement the hand-crafted and off-beat nature of the liquid inside. We found exactly what we were looking for and more when we linked up with artist, Evan B. Harris. For more designs visit, Coppertail’s Website.